Oxytrex™ contains a combination of oxycodone, an opioid agonist, and an ultra-low dose of naltrexone, an opioid antagonist. 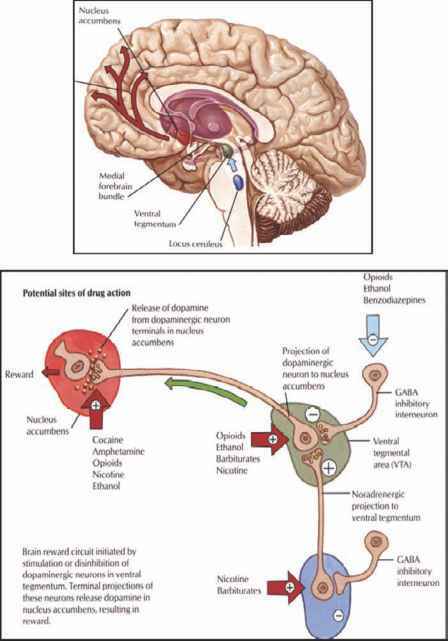 In the brain, opioid drugs usually inhibit the transmission of signals from neuron to neuron. However, with chronic use, the brain adapts to opioids, and the signals switch from being predominantly inhibitory to predominantly excitatory. This results in tolerance, or patients needing escalating doses of opioids to mask pain. Moreover, even when the pain stops, the brain continues to desire opioids, a process called physical dependence. 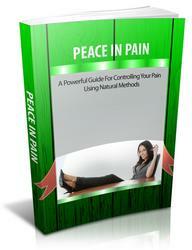 Patients must endure unpleasant withdrawal symptoms to free themselves of the adverse effects of opiates. Researchers at Albert Einstein College of Medicine discovered that combining an ultra-low dose of the opioid antagonist naltrexone with an opioid agonist prevents the physiological switch from the inhibitory to excitatory state. In general, opioid antagonists reverse the actions of opioid agonists. But it's all about the dose, at high doses, an antagonist and agonist do counteract each other, but at ultra-low doses an opioid antagonist actually turbo-charges the performance of the opioid agonist. This basic academic insight was translated by Pain Therapeutics Inc. into a novel opioid painkiller called Oxytrex™. Opioid receptor excitatory signaling has long been associated with chronic opioid treatment . Ultra-low-dose naloxone or naltrexone prevents this excitatory signaling and the associated opioid tolerance and dependence [97, 98]. It has been demonstrated that the excitatory signaling of opioid receptors underlying opioid tolerance and dependence is mediated by a G-protein coupling switch from Gi/o to Gs and that ultra-low-dose naloxone prevents this switch . The research is based on the relatively new finding that mammals have two opioid receptor pathways. In addition to the inhibitory pathway that results in analgesia, there is also an excitatory pathway that, when stimulated, weakens analgesia, mediates side effects, and contributes to the development of tolerance and addiction. In vitro data have shown that chronic morphine exposure in Kreb's Ringer-incubated brain slices in morphine-treated slices results in a Go to Gs coupling switch that was blocked by co-treatment with ultra-low-dose naltrexone. Since a G-protein subunit Go is known to inhibit adenylyl cyclase and Gs is known to stimulate this enzyme, the chronic morphine-induced switch in morphine G-protein coupling switch from Go to Gs that was previously demonstrated in striatal tissue from chronic morphine-treated rats has been demonstrated in organ-otypic striatal slice cultures treated twice daily for 7 days. As seen in the in vivo treatment paradigm, ultra-low-dose naltrexone co-treatment attenuated the G-protein coupling switch that occurred following repeated morphine exposure to striatal slices. Measures of cAMP accumulation showed that the Gs protein, likely via both the a subunit and P7 dimer, is indeed stimulating adenylyl cyclase. 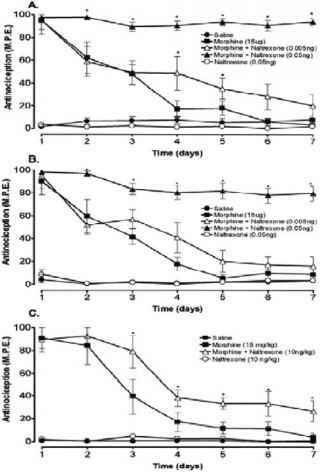 These data suggested that the effect of ultra-low-dose naltrexone is a direct effect and not a consequence of altered morphine metabolism or of enhanced CNS access for morphine. Further, these data provided an additional system in which to probe the effects of ultra-low-dose opioid antagonists combined with an opioid agonist. Oxytrex™ (oxycodone + ultra-low-dose naltrexone) is one such example and has been shown to enhance opioid analgesia  and to decrease opioid dependence . The mechanism of action of ultra-low-dose opioid antagonists in combination with opiates is thought to be a prevention of such excitatory signaling of opioid receptors. Specifically, ultra-low-dose opioid antagonists prevent a switch from Go- to Gs-protein coupling that has been shown to occur during chronic opiate administration and is thought to contribute to opioid tolerance [98, 101]. Especially, there are multiple signaling consequences of the switch to Gs coupling by MORs chronically exposed to opioids, and each may contribute differently to the various behavioral effects of long-term opioid administration such as analgesic tolerance, physical dependence, and the possibility of addiction . Crain and Shen first demonstrated that opiates can produce excitatory as well as inhibitory effects by measuring action potential durations in electrophysiological recordings from mouse dorsal root ganglion neurons in vitro . They observed that the excitatory effect (a prolongation instead of a shortening of the action potential) could be blocked by cholera toxin, an agent that blocks activation of the excitatory G-protein Gs. They therefore hypothesized that the excitatory effects of opiates were mediated by opioid receptors coupling to Gs instead of their usual inhibitory G-proteins, Gi and Go. The research of Crain and Shen also suggested that the excitatory signaling of opioid receptors underlies opioid tolerance and is regulated by GM1 ganglioside, since GM1 ganglioside administration essentially mimicks opioid tolerance . The role of excitatory signaling of opioid receptors in tolerance was more explicitly demonstrated when Crain and Shen discovered that ultra-low-dose opioid antagonists prevented both the excitatory effects in vitro and opioid tolerance and dependence in vivo [101, 104]. Such paradoxical effects of opioid antagonists on pain sensitivity are thought to result from a bimodal G protein-coupled ^-opioid receptor. Its activity produces excitatory effects in response to ultra-low doses of agonist and inhibitory effects in response to high doses . These excitatory and inhibitory effects are blocked (Fig. IV-32) by ultra-low (picomolar to nanomolar) and low (micromolar) doses of opioid antagonists, respectively . Based on these preclinical data, Oxytrex™ a novel, next-generation painkiller is being developed exclusively by Pain Therapeutics Inc. for the treatment of severe chronic pain using oxycodone and naltrexone. Believing that Oxytrex™ provides strong pain relief and less physical dependence than currently marketed opioid painkillers, Oxytrex™ formulation combines an ultra-low-dose opioid antagonist naltrexone, with an opioid agonist, oxycodone, containing 0.001 mg of naltrexone and 10 mg of oxycodone. In previous clinical trials Oxytrex™ provided pain relief with minimal physical dependence, the drug really worked as intended. The patients had severe osteoarthritis pain, and many were waiting for knee or hip replacement surgery. In the 3 month study of 700 patients, Oxytrex™ reduced physical dependence by 55% and in the subset of patients older than age 50, physical dependence was reduced fivefold. Cases of severe physical dependence were reduced sixfold. Although the mechanism of action of ultra-low-dose opioid antagonists appears to be the specific prevention of G-protein signaling alterations of the mu opioid receptor that occur during opioid tolerance, multiple behavioral effects are seen with this co-treatment. First, the enhanced and prolonged analgesia provided by the addition of ultra-low-dose opioid antagonists increases the therapeutic index of the opiate. Since opiate analgesic efficacy is very often limited by side effects, this augmented analgesic efficacy may help to minimize the side effects of opiates, such as the problematic gastrointestinal and respiratory depressive effects. In addition, the reductions in constipation, somnolence and pruritis observed in the Phase II clinical trial were of a greater magnitude than would be expected from an opioid sparing effect . A Phase III trial is on the way using the Oxytrex™ formulation in patients with severe chronic pain due to osteoarthritis.